Kyle Korver's commentary on privilege and institutional racism drew widespread praise. While it was a big step in his development, if everyone went through a similar internal monologue this moment wouldn't feel more monumental than it really is. I’m thankful that Kyle Korver spoke up like he did. The thoughts and commentary he shared on privilege and institutional racism for The Players’ Tribune were refreshing, to say the least. While Korver's words were appreciated, it was exhausting to see the way they were received. I cannot stress enough how comforting it felt to read what Korver had to say on these matters, simply because he didn’t have to. 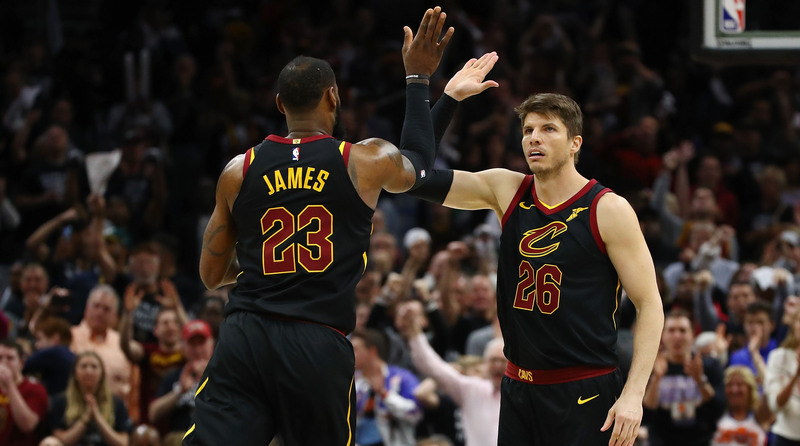 There were multitudes of white athletes before Korver who kept their mouths shut on these issues, and there will be plenty more after him who will side-step the opportunity to piggyback on the conversation he is imploring us to have. And yet, the positive reactions to Korver’s words are what rubbed me the wrong way. Kyle didn’t write that piece for me. I’ve studied institutional racism and implicit bias and how the white experience in the United States is normalized in a way that naturally skews perspectives and beliefs in ways we don’t always think about. I’m black in the United States; I’ve long ago had to understand and contextualize what Korver discussed. For me, the conversation started before I knew the right vocabulary words to pair with my insights. 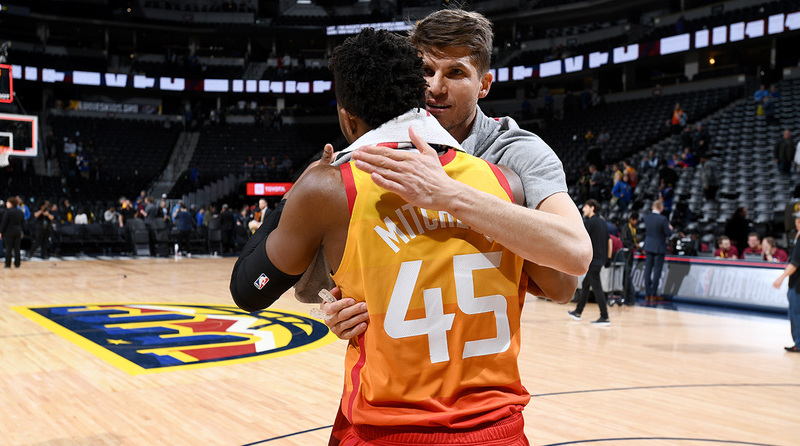 I don’t want to downplay the significance of Korver’s journey to get to this point, but I also can’t get inspired by seeing somebody repeat ideas I’ve seen and heard countless people of color share on the same topics, but to less applause. Hell, from Chris Long to Gregg Popovich to Steve Kerr to Megan Rapinoe, I feel like I’ve seen a fair amount of white people in the spaces Korver occupies speak on these topics only to be commended for a short time before we moved on to the next topic. Just in case you don't remember, we'll roll down the line: Long supported his teammates as they protested for social justice reform; Popovich has publicly talked about privilege and prejudice on multiple occasions; Kerr implored Donald Trump not to divide us in an article for Sports Illustrated; and Rapinoe took a knee in support of Colin Kaepernick. Korver’s entire professional life has been spent in a predominately black space, and in some very black cities like Philadelphia, Chicago and Atlanta. His most famous former teammate outside of LeBron James—who had the N-word spray-painted on his house while he was teammates with Korver—is Allen Iverson, the man who has a 30 for 30 documenting a bowling alley fight that nearly ended his career before it started. Decades passed before the two incidents, but both highlight the racial divide and racist modes of thinking that still permeate throughout society. I thought if anybody would have already earned an invitation to The Cookout, it would have been Kyle Korver. Yeah, the jump shot helped him cut the line, but from my perspective, he seems like somebody who might have already been a little bit deeper into this discourse. That said, Kyle is allowed to grow on his own time and at his pace. We’re all ignorant to something at some point, and we can only fix that by attempting to learn and acknowledging where we fall short. As much as I think Korver could have learned these concepts of privilege and structural racism well before he felt inclined to write what he did, I can’t hold judgment against a man who has admitted his shortcomings while asking to be taught even more about the subject. Yet the standing ovation given when a privileged person points out what’s obvious to so many others still irks me. When I read Korver describe his initial assessment of the incident in which the NYPD broke Thabo Sefolosha's leg in 2015, I cringed just like Korver—not because I believe his old line of thinking is proof of a greater systemic issue that needs to be addressed, but because it's hard to expect white people to be enlightened on these matters if Korver didn't even get it. At what point will we be able to look at growth such as Korver's and see it as the norm and not the exception? With great power comes great responsibility. If we are all going to agree that Korver is operating from a place of privilege, there needs to be a point when we agree that those who have the benefit of privilege should be held to a higher standard so a conversation like this doesn’t feel more monumental than it really is. There is a certain disregard for others and lack of empathy that comes with being in a privileged class. It's something that is rarely discussed properly and it can’t be broken on a whim. It takes time and a desire to be better to reach the place Kyle did. And as he explained, even in this instance he had a choice on whether or not he wanted to do this. This runs counter to what's expected of me as a black person. I'm expected to assume the best intentions from white people, even when I see them act in a racist manner and know not all of them have chosen to engage in the enlightened level of thinking Kyle has. Meanwhile, their fears and misconceptions about people like me are seen as justified and expected to go unchallenged despite the universal acknowledgment of their privilege. If you’re reading, Kyle, I've got one suggestion and a few more questions. My suggestion is to make sure that in addition to learning more about the racist history of this country and holding other white people accountable, you also examine what factors helped sculpt your privilege and allowed you to become so blind beforehand. Really dissect whatever it is about your upbringing or previous outlook on life that left you so disconnected from the fellow NBA players you spend so much time with. And as you do that, I would love to know what you think the next steps should be in combating these systemic issues and subtle racism. What can people such as myself say and do to help make people like you recognize these realities sooner? How many of the marginalized must speak and repeat themselves before the privileged determine listening to be helpful? When can we expect your view to become the standard?